Instructions : Just follow the numbers (Yes... I numbered the parts). Build order: hair, ears, head, fur, front legs, body, hind legs, tail. Wow !!! It is amazing ! This is soooo amazing! I am going to try this one now! 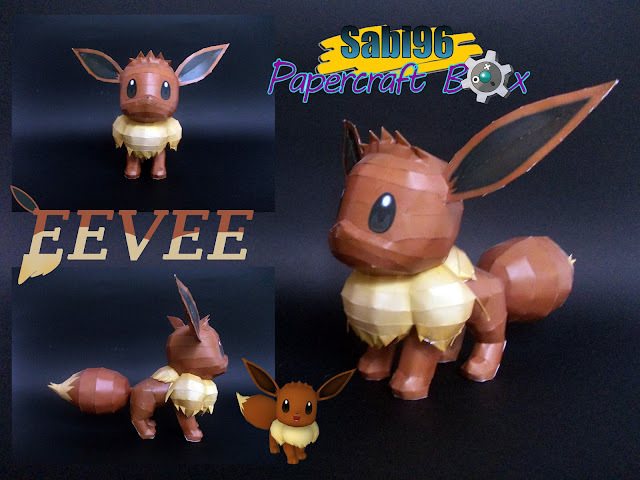 It is the best eevee model i have seen in my life so far! what paper did you use to make this? Make it lighter because it lookes cooked eevee. this amazing!!! And cute!!! !